Contributions to your IRA might be tax deductible. 1. Can a Roth IRA Be Opened If You Are on Social Security? 2. Is IRA Interest Income Taxable Income? 3. What Can You Do With an IRA After Retirement? An individual retirement arrangement is a special type of tax-advantaged holding account that allows you to set aside a portion of your earned income toward your retirement years. The type of tax advantages you get depends on the type of IRA you hold. 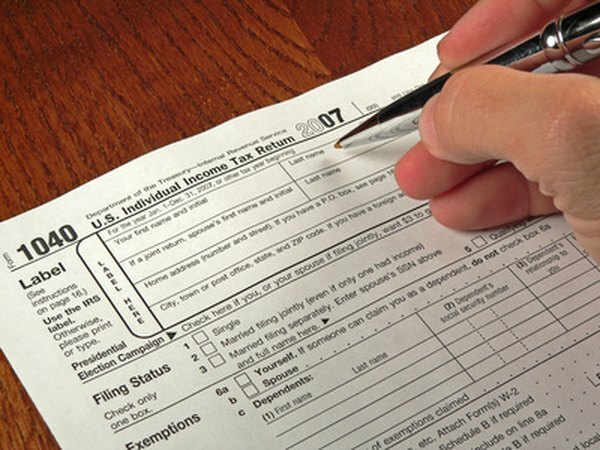 The Internal Revenue Service recognizes two types of IRAs: traditional IRAs and Roth IRAs. You also can roll over assets from another qualified retirement plan, such as a 401(k), into an IRA. Traditional IRAs were the first type of individual retirement arrangement authorized by Congress. Your contributions to a traditional IRA are made with pre-tax dollars, which means you can deduct your contributions from your income when you file your federal income tax return. Any growth that occurs in your traditional IRA is tax-deferred. All withdrawals from your traditional IRA are taxed as ordinary income in the year you receive them. If you withdraw funds from your traditional IRA prior to reaching age 59-1/2, you will be subject to an additional 10 percent tax penalty. Your contributions to a Roth IRA are made with after-tax dollars, which means you cannot take a deduction for them when you file your federal income tax return. You get the same tax-deferral on any growth that occurs in your Roth IRA. Since you have already paid taxes on the funds you contributed to your Roth IRA, you can take them out at any time, for any reason, without incurring additional tax liability. You can take tax-free withdrawals from the earnings portion of your Roth IRA once you reach age 59-1/2, provided you've had a Roth IRA for at least five years. Early withdrawals of the earnings portion will be taxed as ordinary income plus a 10 percent tax penalty. A rollover allows you to move your retirement money from one qualified plan to another. For example, if you have a 401(k) with your current employer, but decide to change jobs, you can roll the funds in your old 401(k) into an IRA. This allows you to maintain the tax deferral on your retirement money, and might give you a broader selection of investment options. The tax savings you can get by contributing to an individual retirement arrangement can be significant, but you should consider whether you are able to leave those funds in your IRA for the long term. If you have to tap your IRA account early, the tax penalty can easily offset any advantages you might have gained. A primary factor for deciding between a Roth IRA and a traditional IRA is whether you expect to be in a higher or lower tax bracket after you retire. If you expect to be in a higher tax bracket, you'll be better off paying taxes now and putting your retirement dollars into a Roth IRA. If you expect to be in a lower tax bracket after retirement, deferring your taxes until then by contributing to a traditional IRA might be a better deal. IRS: Publication 590 Individual Retirement Arrangements, What Is a Roth IRA? CBS MoneyWatch: Roth vs. Traditional IRA-Which is Better? Is Interest Earned on a Traditional IRA Tax Exempt?